← Sudan’s Bashir to Step Down – But Why? Could Libyan Leader Gaddafi find himself facing trial at the International Criminal Court? “Genocide”, “war crimes”, “crimes against humanity”. All of these words have been invoked to describe recent events in the ever-tumultuous Arab world where popular movements have resulted in mass protests and the toppling of governments. This marks a dramatic shift for a region that has rarely described events through the rhetoric of justice. It has been rare that these words – and their connection to international criminal law – have been uttered in Arab states, at least when it comes to describing, well, Arab states. To date, the vast majority of Middle Eastern and North African states have only publicly thrown their support behind the cause of international criminal law (ICL) on an ad hoc and political basis. In practice, this has meant that when Israel was the ‘target’ of criminal law investigations or reports such as the Goldstone Report and investigations into the Gaza Flotilla attack, these states were often the most vociferous proponents of justice. However, when it came to long-term commitments to international justice, very few Middle Eastern and Arab states participated. While, as Steven Roach notes, Arab states played a “largely positive (albeit controversial)” role in the creation of the ICC, to date, amongst them, only Jordan is a member state. The Arab League has been among the most vocal critics of the arrest warrant against Sudanese President Omar al-Bashir and has openly advocated that Bashir’s warrant be deferred. Over the past few months, justice has been debated in the region as a result of the investigations by the Special Tribunal for Lebanon, with some believing that the Tribunal’s investigations into the 2005 deaths of former Lebanese PM Rafik Hariri and 20 others could destabilize Lebanon and threaten regional peace. Now, however, with unrest spreading like wildfire and so many around the globe watching in solidarity as citizens of Tunisia, Egypt, Bahrain and Libya attempt to topple their autocratic regimes, something has changed. The language of international criminal law, and human rights more broadly, has taken center stage where before it had been relegated to political opportunism. Given recent events, it is unsurprising to hear comments, like those of Navi Pillay, the UN high commissioner for human rights, who warned that violence in Libya against civilians “amount to crimes against humanity” and called for an international investigation in possible human rights violations. What was surprising was the defections and declarations of Gaddafi’s own government officials. Libyan diplomats at the UN defected and accused Gaddafi of genocide. While it’s more likely that Gaddafi is responsible for crimes against humanity than genocide, the use of the term illustrates the growing application of legal concepts to describe ongoing events. Libya’s deputy permanent representative to UN, Ibrahim O. Dabbashi, further exclaimed: “We are sure that what is going on now in Libya is crimes against humanity and crimes of war.” He then did something that was unthinkable just weeks ago. Dabbashi said that he believed the International Criminal Court should investigate Gaddafi for crimes against humanity and war crimes. Luis Moreno-Ocampo, the Prosecutor of the ICC has responded that “[t]he decision to do justice in Libya should be taken by the Libyan people” and that either Libya would need to become a state party to the Rome Statute or the situation would have to be referred from the UN Security Council in order for the ICC to investigate. Amnesty International has suggested this could be an appropriate course of action. Regardless, for proponents of international justice, even the suggestion of joining the ICC indicates a sweeping change in regional attitudes towards international law. And, again, rather than external actors, it is the citizens of these states, indeed government officials of these states, employing the rhetoric of international criminal law. Will Libya join the ICC? 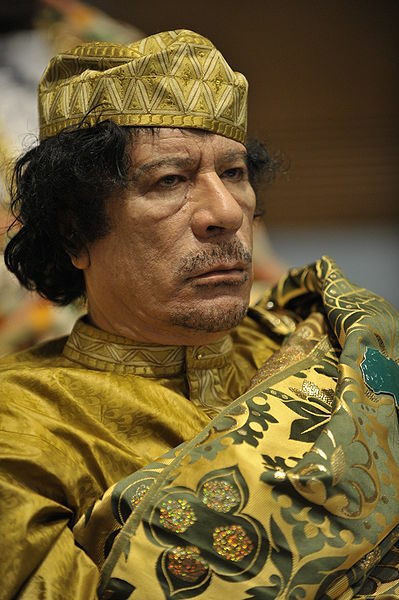 It is too early to tell, especially given that Gaddafi, at least for the time being, remains in power. Perhaps, in due course, the country will draw lessons from Tunisia. 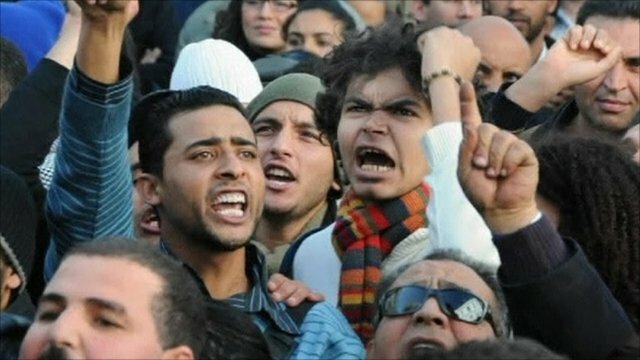 The vigour in support of human rights in Tunisia has been unprecedented. Not only has the transitional government, which took power after President Zine el-Abidine Ben Ali was ousted, issued an arrest warrant for Ben Ali (although notably not for international crimes), repealed the death penalty, and declared that it would ratify the International Convention for the Protection of All Persons from Enforced Disappearance and the two optional protocols to the International Covenant on Civil and Political Rights; it has declared that it would ratify the Rome Statute of the ICC. If it follows through, it will be the first north African state to ratify the Statute. While David Rieff recently argued, unconvincingly in my view, against the pursuit of justice in Egypt and Tunisia, he does shed light on the fascinating dynamic that the drive towards justice has been instigated not by normative changes in favour of accountability nor international obligations requiring prosecutions. It has been driven by local demands for justice. The point here is not to argue about whether or not Egypt, Tunisia and Libya should pursue accountability against their embattled leaders. Others have done so. Importantly, it will be Egypt, Tunisia and Libya who decide how to move forward and to what extent they will embrace international criminal law. Yet, even in a purely discursive sense, we are witnessing a dramatic shift in attitudes towards international criminal law amongst Arab states. The focus on accountability in this context has been domestically driven against actors in vulnerable political positions, seemingly reinforcing the idea that only weak leaders can be brought to account for past crimes. Nevertheless, these events enrich the debates about conflict and justice as well as the pursuit of justice in conflict. While often neglected, the role of Arab states in international criminal justice is vital. If there is hope that the Middle East and Arab states can engage effectively and productively in addressing the challenges of international criminal justice, these states will have to engage because they deem justice an important international cause and goal, and not because the rest of the world tells them it is. This seems to be precisely what is happening. 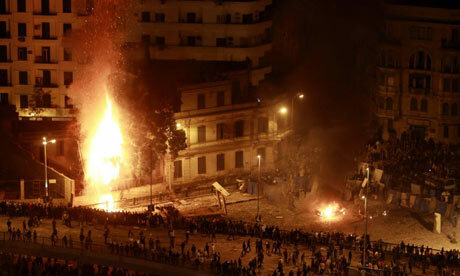 This entry was posted in Arab League, Egypt, International Criminal Court (ICC), Libya, Middle East, Tunisia. Bookmark the permalink. 3 Responses to International Criminal Justice Sweeping the Arab World? first off, good article as usual! But, it’s pretty obvious which side you’re on, namely the optimistic side:) I think it’s too early to tell, and we’re too caught up in the heat of the moment. The immediate reactions going in a direction of more ICJ stem more from the need for retribution and immediate justice (Tunisia’s arrest warrants etc) I think, and the need to make a clear break with the previous regime, while partly responding to the democratic aspirations of the people (Tunisia), and the need to throw all you can to get the international community to react (Libya). But, who knows what might happen, we’ll have to wait and see until the dust settles! People want jobs, food and a better future, but they are also fed up with corruption, i.e. they want respect for the rule of law, and many people have explicitly stated their wish for democracy – a word traditionally not employed in the Middle East to describe better government. So there is hope that we’re on a better path. On the other hand, from the side of the international community, though it was interesting to witness the unanimous deferral to the ICC, with the exemption of non-state parties, the potential rise in importance of the ICC is quickly eclipsed by the same old story of limited jurisdiction subject to big power interests.